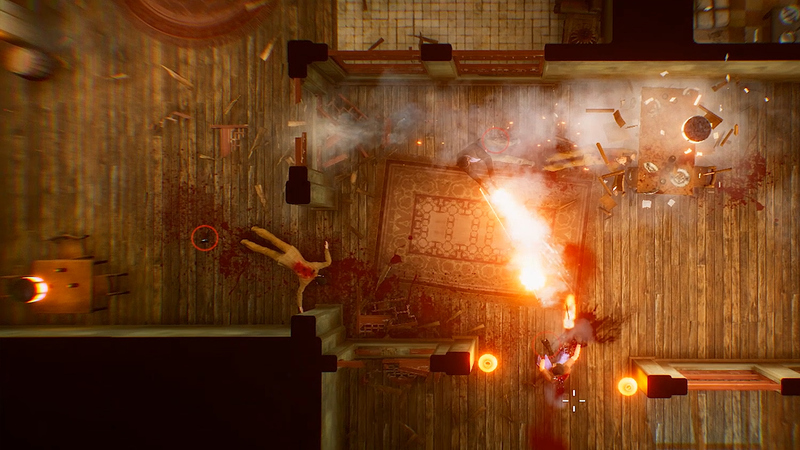 Back in October 2017 at the PlayStation Paris Games Week Showcase, Swedish indie developer Vreski revealed their upcoming title The Hong Kong Massacre which immediately grabbed my attention. The best way I could describe it was Hotline Miami mixed with John Woo’s Stranglehold. 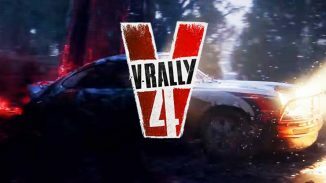 Now over two years later the game is finally out on PlayStation 4 and PC and despite a few issues it is an action packed blast. 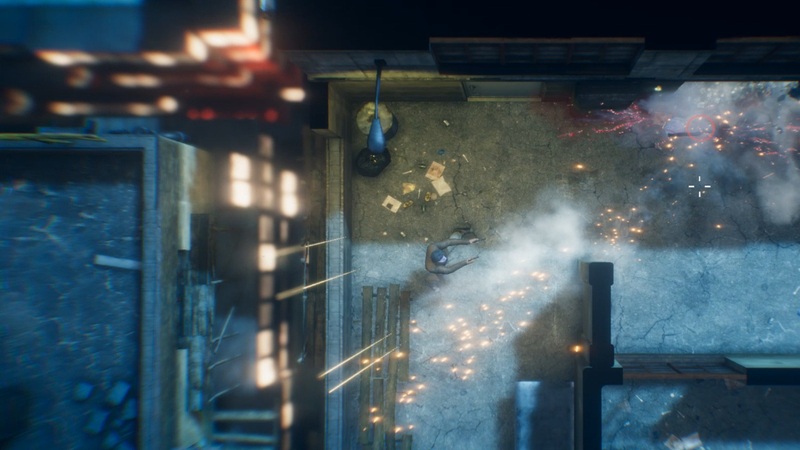 Now from my comparison above you might get the idea on what kind of game this is but if not it is a top-down twin-stick shooter set in Hong Kong. Much like Hotline Miami you’ll have to be quick to react in this game as death comes quickly and frequently if you don’t. At the start of the game you only have access to one weapon but you can unlock up to four different ones to use. Before the start of each level you pick which one you want to start with which are the starting dual pistols, a shotgun, an SMG, and an assault rifle. Regardless of which you start with you can pick up any weapon an enemy drops when they die letting you adjust your strategy on the fly. Each of the 35 levels in the game has a three star ranking system tied to it with each star being earned by fulfilling a certain objective. This can be beating a level under a certain time, finishing the level without missing a shot and so on. You then use the stars you earn to unlock those weapons as well as upgrades for them like more ammo, rate of fire, and handling speed. Every level is full of things that will blow up and shatter as the bullets from both you and the enemies are flying. The enemies are a constant threat who are always aware that you are there as soon as you enter a room. Both you and your enemies only take one shot to kill (until they gain armor in later levels) so you have to react fast otherwise it’s back to the start of the level. Thankfully the load times for restarting are instant so you’re never left waiting when you mess up. Outside of your guns you do have a couple other abilities to aid you in conquering these levels. The first and probably most important tool is the slow motion feature. This allows you to slow down time so much that you can easily dodge enemy bullets that is extremely difficult to do in real time. Keep in mind though that it is tied to a meter that does run out so make sure you’re safe before it does. Killing enemies refills the meter so it creates an interesting dynamic on whether you should keep pushing forward to refill it. I do have one issue with this mechanic though and that is the star objectives tied to it. To earn some of these stars you’ll have to beat the levels without using this mechanic at all. For a game almost based all around this mechanic going through every level without it felt almost impossible to me. There are so many enemies at times where I just couldn’t see how you could kill them without using the slow motion ability to dodge their bullets. One thing that does help a little though is that you don’t have to do all three challenges in one run. You can focus on doing one objective and then go back and do another one. The other mechanic you have is the dodge button which lets you slide and dodge enemy gun fire by giving you a brief invincibility window. It’s really when you combine the gunplay, slow motion, and dodging that you really feel how awesome the action in this game is and it makes you feel like a badass. Outside of the standard levels you also have five boss battles in the game although they are all a bit too alike. Each one places you on a rooftop opposite to the boss and has you jumping building to building, killing other enemies, and landing shots on the boss until they die. The action is fun but it would’ve been nice to see bit more variety in this regard. 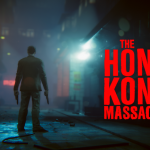 The Hong Kong Massacre does have a story but it’s honestly one of the worst parts of the game. It’s basically about your character who is a police officer, being interrogated on why you killed all these gang members in these missions. The main reason for it is because you are trying to avenge the murder of your partner but it all just wasn’t very interesting to me and didn’t have much of a payoff by the time I reached the end. The visuals are good in some areas and quite bad in others. Seeing particles and debris fly as the levels are getting shot up is great but the game suffers from screen tearing a lot and this was on a PS4 Pro. Also the story cutscenes are really low quality where it looks like you are watching a Youtube video on the lowest quality possible. I know this is just two people who made this but hopefully they can either patch the game or do better in the future. Much like Hotline Miami though the game has a pumping soundtrack that really fits the tone of the game. 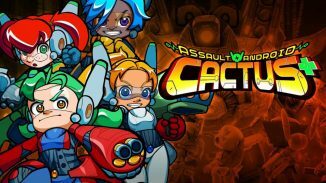 If you want to get the Platinum trophy in it I’ll just say good luck as you’ll have to beat all of the levels without using the slow down feature as I stated above. 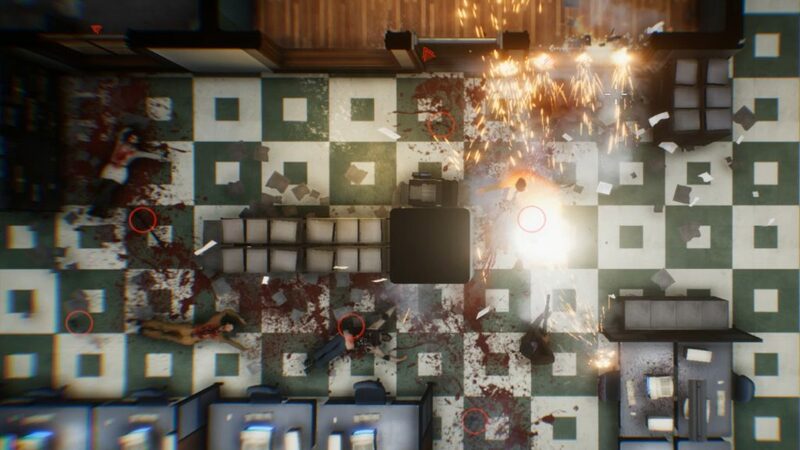 The Hong Kong Massacre sets out to be an over-the-top action game similar to some of the best action films and I think it nails that feeling pretty well. 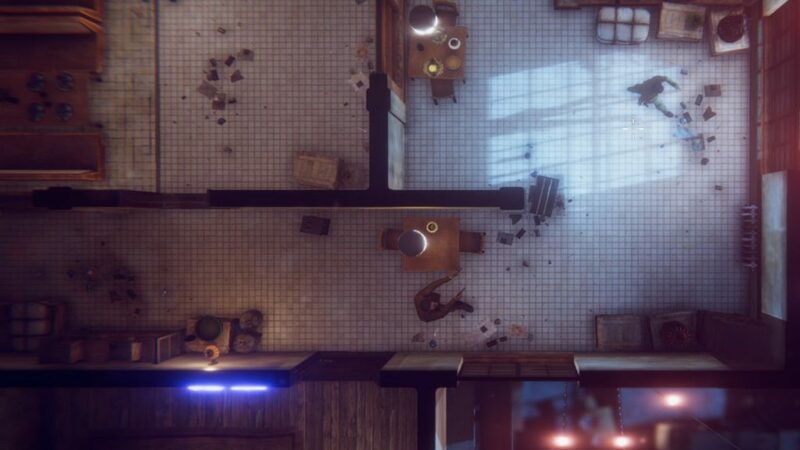 Leaping over objects, shattering windows, and filling my enemies full of lead was an endlessly enjoyable feeling and even when I died (which was a LOT) I kept going right back to try again. 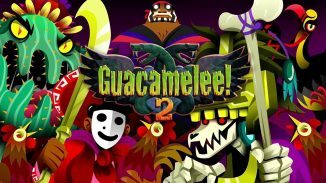 The fact that it was made by just two people does show in a lot of areas such as the visuals, story, and repetitive boss battles but none of those outweighed the good times I had with it. 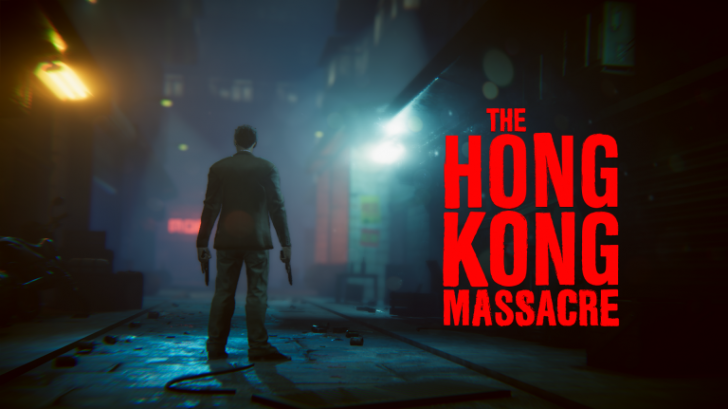 *The Hong Kong Massacre is out now on PS4 and PC. Reviewed on a PS4 Pro. Review copy provided by the publisher for this review.